Everyone has one of the following problems. Either you buy bananas because they just look so darn tasty in the store, get them home, you eat a few and before you know it they've turned brown and you no longer want to even consider eating them. Or you're like me and hesitate buying the bananas in the first place for the first reason, yet you find yourself with a hankering for some uber tasty gluten free banana bread. Well if you're like the second person (moi) then you may find yourself searching for those over ripe bananas on purpose in hopes of preparing a decent gluten free banana bread. All the while wishing so much that you were not celiac and could simply eat any banana bread out there, particularly your moms best banana bread. Unfortuantely there's no cure or medication based treatment for celiac disease except to follow and completely gluten free diet. Because of this, adjustments must be made to alter a "favorite" baked recipe to be gluten free. 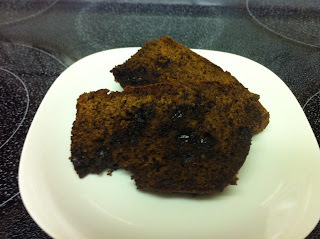 Today I did just that....I transformed my moms best banana bread recipe into a gluten free banana bread recipe! And I'd like to share with you all that it turned out fantastic! The real title of the recipe is simply "banana bread" but I prefer to call it as seen below. Using your food processor, puree the bananas. Then add sugar, baking soda and salt and puree again. Add eggs and oil and puree again. Pour over flour and milk and puree once more. Fold in chocolate chips/nuts etc if desired. Line a regular loaf pan with either parchment paper or tin foil and spray with cooking spray. Pour entire mixture into loaf pan and bake at 275F for 2 1/2 hours. The reason you are baking this banana bread low & slow is to ensure a dark rich brown color and silky flavor. Trust me, it's worth the extra time and a low temperature. * I used an Organic All Purpose Gluten Free Flour blend provided by Cuisine Soleil brand. The team at Cuisine Soleil sent us some samples to try in our regular gluten free baking. 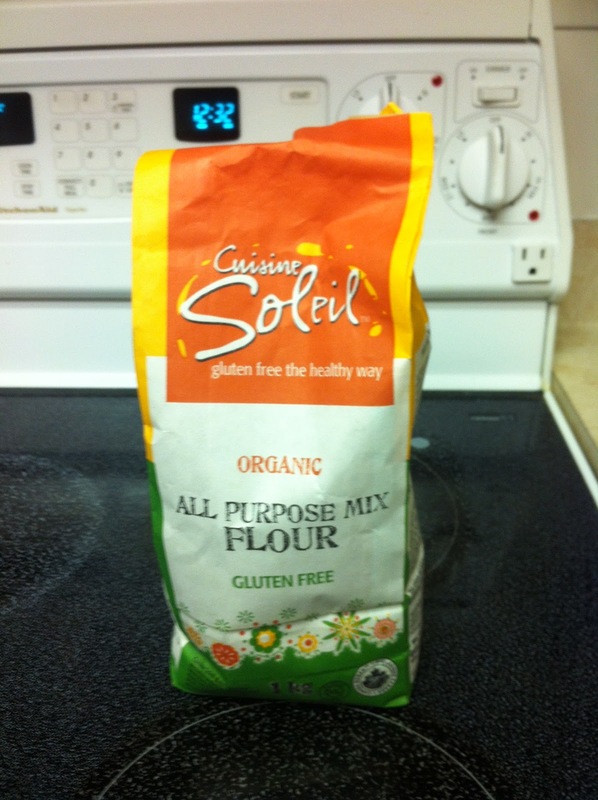 The Cuisine Soleil flour products can be purchased at Earth's General Store as well as Planet Organic in Edmonton.